Vintage Old Japanese Colour Postcard. 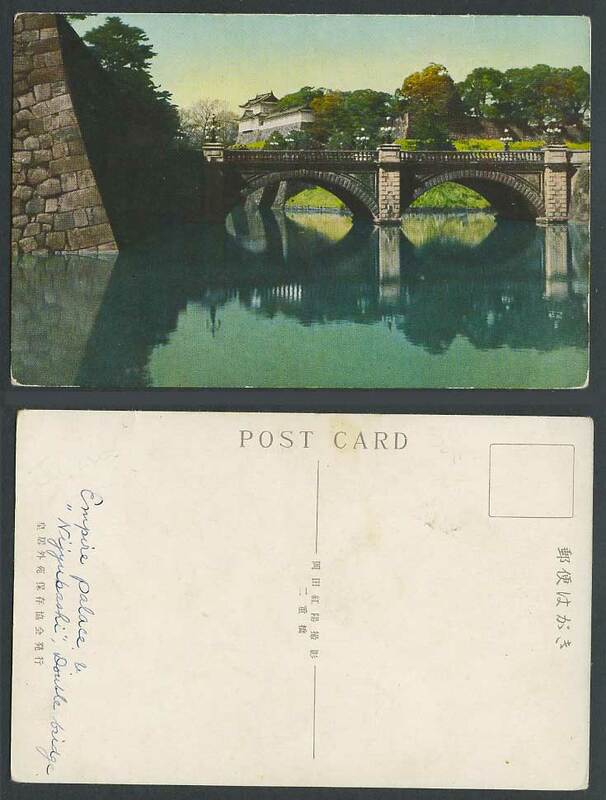 Japan, Tokyo, Nijubashi Double Bridge of Imperial Palace, Moat River Scene. 東京名所 皇城二重橋.